Comedian Ventriloquist Jeff Dunham, a global comedy superstar and one of the world’s most inventive entertainers, visits the Big Sandy Arena Saturday for a 5 p.m. performance. Ventriloquist Jeff Dunham is a global comedy superstar and one of the world’s most inventive entertainers. 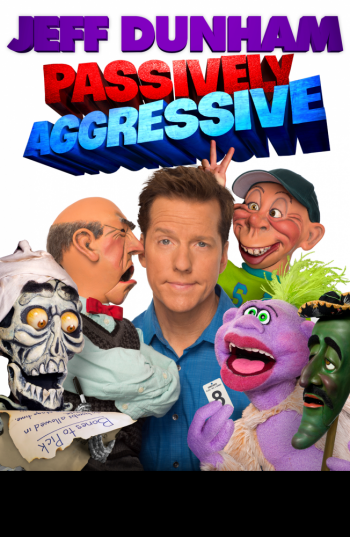 Global Comedy Phenomenon Jeff Dunham adds new summer dates to his blockbuster “PASSIVELY AGGRESSIVE” international tour. The tour has been filling arenas across North America and Canada treating fans to more of his delightfully twisted cohorts, Peanut, Walter, José Jalapeño, Bubba J and Achmed the Dead Terrorist. In addition, Jeff will be introducing two brand new, never seen-on-TV characters, who give their own takes on the current and highly volatile American political scene.